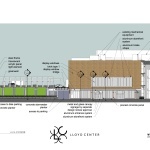 A new entrance into the Lloyd Center is being created as part of the $50 million remodel of the 1960s mall, led by Waterleaf Architecture. The project had two Design Advice Request hearings earlier in the year, and is now scheduled to have its first Design Review hearing on December 18th. The work involves creating a new plaza, to offer pedestrians a more welcoming entrance into the building from NE Multnomah St. 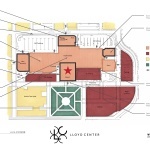 The plaza will include a new entry in the existing Macy’s store, and new retail units on the west side of the plaza. 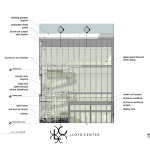 The space will terminate in a new 3-story curtain glass wall, with a helical stair behind it. The plaza will contain raised storm water and landscape planters, as well as a green wall feature. 30 dual bike racks will be added, under the cover of the existing parking structure. 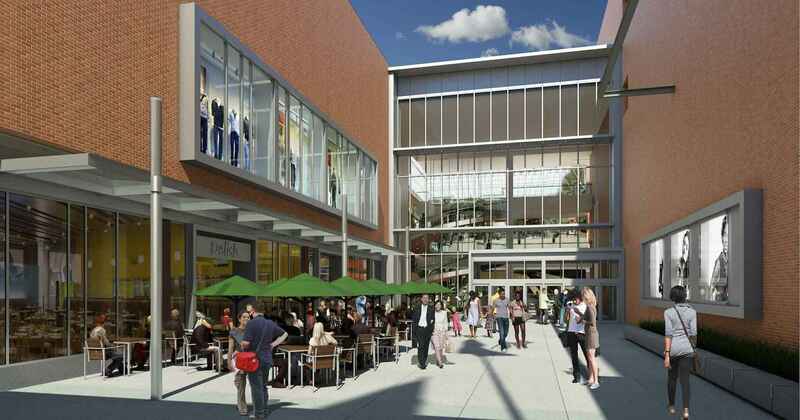 Ground level retail units are also proposed in front of Macy’s, underneath the existing parking deck. 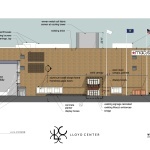 Future phases may extend these retail units further east along the NE Multnomah St. 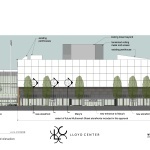 In order to create the new plaza, a portion of the existing parking structure along NE Multnomah St will be demolished. 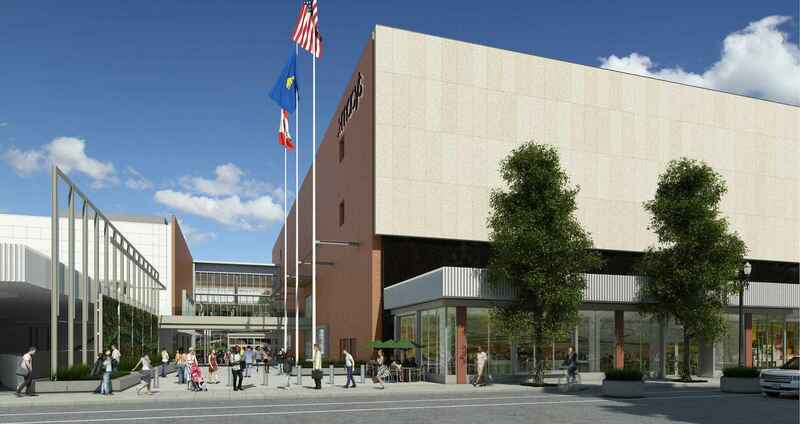 A new bridge will be built to maintain the link between the parking structure and the second floor of Macy’s. The Staff Report and Recommendation to the Design Commission [PDF] generally welcomes the project, but does not yet recommend approval. Concerns exist about lighting, weather protection for pedestrians and signage, amongst others. 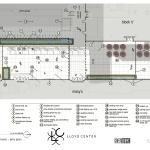 This entry was posted in Lloyd Center Remodel, Lloyd District, Waterleaf Architecture, Interiors & Planning. Bookmark the permalink.